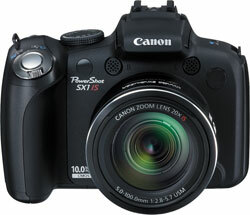 Dpreview has reviewed the compact camera Canon PowerShot SX1 IS. This superzoom camera with a 20x optical zoom lens is replacing the successful S5 IS camera. Don Wan of dpreivew.com ends up giving the Canon PowerShot SX1 IS camera a “recommended (just)” rating. The camera is not getting a top score because the image quality isn’t all that good. Higher ISO levels are pretty bad too. Seems like one should check out other options before buying the Canon PowerShot SX1 IS. Read the full review of the Canon PowerShot SX1 IS camera here. Canon today announced two new printers. One of them is called Canon PIXMA Pro9500 Mark II and is a 14 inch A3+ professional inkjet printer. 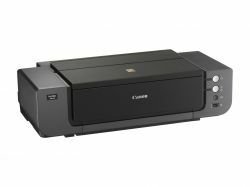 The Canon PIXMA Pro9500 Mark II printer will be available in May 2009 and cost about $849. Amstelveen, The Netherlands, 25 March 2009: Canon today announces a powerful new tool for professional photographers to create gallery-quality images for exhibition and sale. The PIXMA Pro9500 Mark II is a versatile, 10-colour pigment inkjet printer, capable of producing outstanding, long-lasting prints up to A3+ size or 14” wide. Finding the correct print media is crucial in turning an image into a saleable product. To maximise potential profit, the PIXMA Pro9500 Mark II prints to a comprehensive range of Canon and non-Canon medias. Stunning, high-quality prints can be printed onto Canon high gloss medias without bronzing or gloss differential; other supported Canon media includes Semi-gloss, Matte Photo Paper and Fine Art medias. The PIXMA Pro9500 Mark II supports ICC profiles for many specialist medias. These include Baryta types, canvas, and numerous Fine Art medias from leading brands such as Canson, Hahnemühle, Innova, Moab, Somerset, Crane, PCM and Pictorico. For additional flexibility you can create custom ICC profiles, using Canon’s Colour Management Tool Pro 2 software with selected X-Rite colour spectrophotometers. New for the PIXMA Pro9500 Mark II is an Ambient Light Correction feature using Canon Kyuanos technology*. Users can select the type of lighting under which a print will be displayed; the colours in the final print are then automatically adjusted to ensure that the displayed result looks just the way the photographer intended. Professional photographers can integrate the PIXMA Pro9500 Mark II directly into their workflow by using the included Canon Easy-PhotoPrint Pro plug-in, which allows printing directly from Adobe Photoshop and the supplied Adobe Photoshop Elements software**. Canon EOS users can use the plug-in to print RAW files directly from Canon Digital Photo Professional software. Adobe Photoshop Elements 6.0 – powerful, easy-to-use photo editing software which allows users of non-Canon EOS D-SLR cameras to convert and print RAW files. CD-LabelPrint – simplifies printing directly onto inkjet printable CDs and DVDs. The PIXMA Pro9500 Mark II is compatible with Windows Vista, Windows XP, Windows 2000 and Mac OS X 10.3.9 to 10.5. Canon has announced a new exciting DSLR camera called Canon EOS 500D (known as Canon Rebel T1i in North American and Canon EOS Kiss X3 in Japan). This consumer level DSLR camera features a 15 megapixel sensor and 1080p HD video recording at 20fps. It will be interesting to see if Canon is able to produce a sensor that takes high quality pictures when there are so many pixels crammed into the sensor. 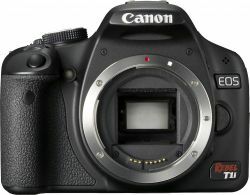 The Canon EOS 500D / Canon EOS Kiss X3 / Canon Rebel T1i will be available in May 2009 and cost about $800 for the camera body only. 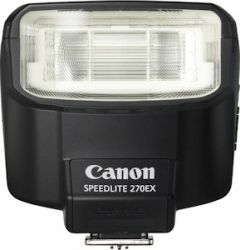 Canon U.S.A., Inc., is a leading provider of consumer, business-to-business, and industrial digital imaging solutions. Its parent company, Canon Inc. (NYSE:CAJ), a top patent holder of technology, ranked third overall in the U.S. in 2008†, with global revenues of US $45 billion, is listed as number seven in the computer industry on Fortune Magazine’s World’s Most Admired Companies 2008 list, and is on the 2008 BusinessWeek list of “Top 100 Brands.” At Canon, we care because caring is essential to living together in harmony. Founded upon a corporate philosophy of Kyosei – – “all people, regardless of race, religion or culture, harmoniously living and working together into the future” – – Canon U.S.A. supports a number of social, youth, educational and other programs, including environmental and recycling initiatives. Additional information about these programs can be found at www.usa.canon.com/kyosei. To keep apprised of the latest news from Canon U.S.A., sign up for the Company’s RSS news feed by visiting www.usa.canon.com/RSS.